Note: While this review will be spoiler free, it will reference previous books. 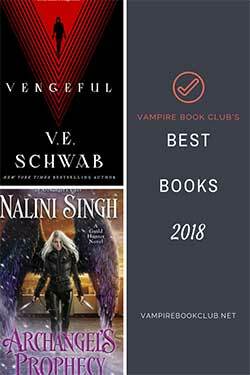 If you haven’t started this series yet, check out VBC’s review of book 1, First Grave on the Right. At the end of Eleventh Grave when Reyes comes out of the God Glass hell-dimension, he frees all the souls who were wrongfully imprisoned there by an angry priest. The bad news: Reyes was changed, and not for the better. Charley wants to believe her Reyes, her husband, is still in there somewhere, but it looks as if Rey’azikeen is in charge now, and he is not happy about it (it’s okay, I lived through the first incarnation of Angelus on Buffy, I’ve totally got this). Besides keeping her possibly-now-evil husband from being taken down by a host of Heavenly Angels, Charley also has to ponder what else may have gotten out of the God Glass. Then there’s someone (or something) on a killing spree in which Charley needs to assist Uncle Bob, her friend Pari is a possible suspect in a homicide, and Cookie’s daughter Amber needs Charley’s help in setting up her own P.I. business. All in a day’s work. 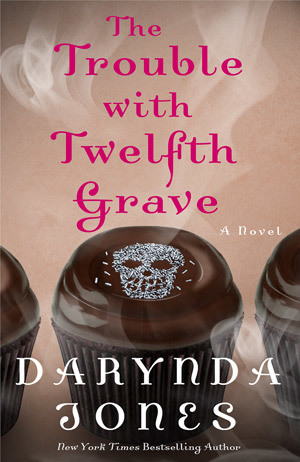 Darynda Jones really left us hanging at the end of the last book so I was excited to finally get the continuation and as Twelfth Grave marks the penultimate book in the series, I was ready for wherever she chose to take us. Even as I write this review, I’m finding it difficult to pin down my feelings about it. On the one hand, it’s Charley. I thought the jokes and the beginning of the chapter memes, T-shirt sayings, bumper stickers, etc. were especially funny. The quick wit and dangerous situations in which Charley finds herself are all up to par with what we’ve seen before. So it was an enjoyable read for me. I was happy to be back with the characters in the world. I loved seeing Charley embrace her powers so effortlessly. And honestly, evil Reyes is nothing to scoff at. On the other hand, besides the Reyes storyline, I felt like everything else was filler. Little did I know how the devious Ms. Jones would clutter the book full of so much, thereby using clever misdirection that leads us to a rather shocking ending I didn’t see coming. 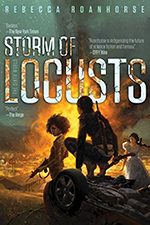 Not knowing the full consequences of the ending I feel like my feelings toward this book will remain in limbo until I can see where we’ve been led in the final book. So, yes, it’s a cliffhanger, not as dire as some I’ve read, but definitely makes one want to have that next book in hand now. While Charley Davidson remains one of my favorite series, I felt like Twelfth Grave, minus that ending, was more of a slow build up for the last book. I love spending time with these characters, and I’ll be sad to see them go, but I look forward to seeing where things end up in comparison to where they started in First Grave on the Right. I always check out the reviews for this series when I see them. I’m so interested in them and Ill be starting the series in January (at least that’s the plan – maybe sooner).